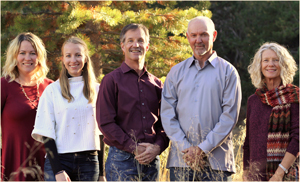 When we started looking for a home in the Truckee area we were referred to Matt and his team. While we could have done the purchase ourselves, as professional real estate agents we know the value of having someone who knows the local market inside and out and has great relationships with all the other agents in the area. Matt not only helped us find the right place he provided importnant advice and insight that we would not have had otherwise, did a great job of negotiation and made sure the transaction was smooth. He and his team are top-notch in everything they do and are highly recommended.